Are you looking for a quick breakfast on the go or just a delicious late night snack? 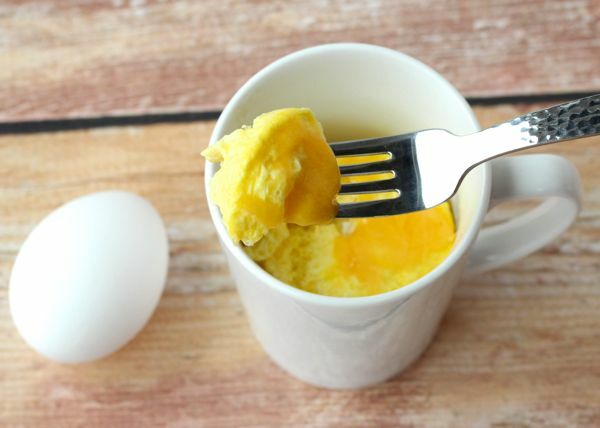 If so, you will love this Scrambled Eggs in a Mug Recipe! Spray inside of coffee mug with nonstick cooking spray. Crack 2 Eggs and pour into mug. Whisk Eggs with a fork. Top with Shredded Cheese, Salsa, Salt, and/or Pepper. ENJOY!